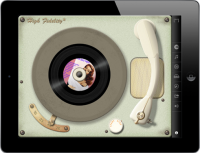 Vinyl - the Real Record Player - turns your iPad into a vintage record player. Listen to your music the old-fashioned way, while enjoying a crisp design, high-quality sound and cool technical gizmos. 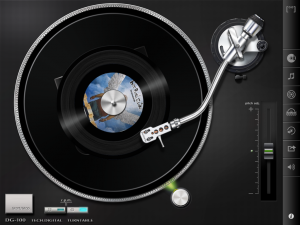 These Record Players are so realistic that you almost feel like you are playing real records. 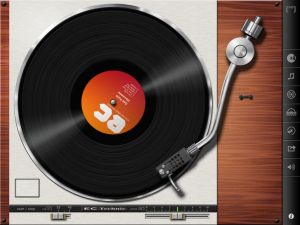 The Sound effects (like Record scratch, hum from the Tubes in the 40′s player, etc) make this App a lot of fun! This is very close to the vinyl experience. Nice realistic retro sound. 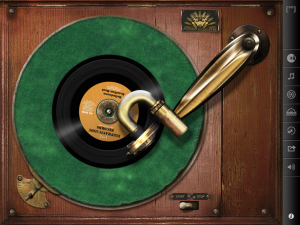 Lots of attention to detail in recreating the peculiarities of each record player.